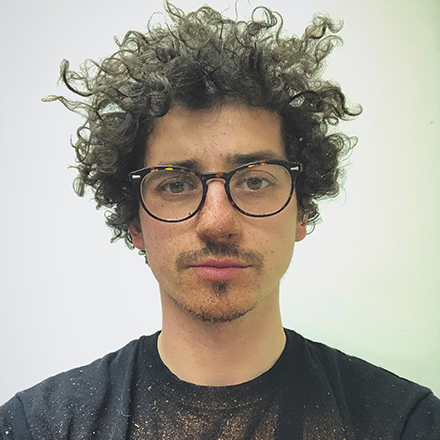 Having been stalkers of Heist Chocolate on Instagram for quite some time now, we thought it was high time that we caught up with founder Mikey Lewis in his studio space (now a chocolate factory) in Meanwhile House Cardiff. Mikey is a one man band, and where he has managed – single-handedly – to develop his business to in just 18 months is truly inspirational. His passion for chocolate is also VERY clear. A man after our own heart. So Mikey, is this your first studio space? Yes! I was working from home for a while but needed to expand into something bigger. Meanwhile House Cardiff has been pretty rad with it’s flexibility and allowing me to put my mark on my space and transform it to a micro chocolate factory. Cardiff is where I grew up and it’s changing and expanding at such a fast pace with new independent businesses opening up all of the time. I wanted to be part of this exciting transformation. It’s really awesome. How did Heist Chocolate come to be? My father told me he was looking to import chocolate from Russia as a side business. I looked into it and wondered if it would be possible to make his own chocolate. I bought some basic equipment and ingredients and made a makeshift chocolate bar. I showed my father but he wasn’t too keen on going into the chocolate making business. I have a major sweet tooth so I used the rest of the leftover ingredients to make some more chocolate and then I was hooked. I started playing around with wrapper designs and looking into the feasibility of starting a chocolate business. Within 12 months I was good to go… Crazy. 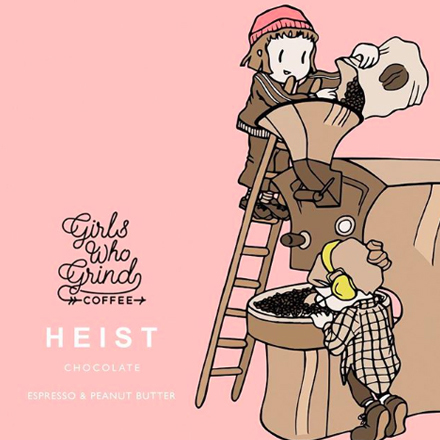 Heist chocolate makes from “bean to bar”, instead of melting down pre-made chocolate from larger manufacturers. We make it from scratch using cocoa beans! Every bar of Heist chocolate is designed, roasted, ground, tempered, wrapped, stamped and stitched by me. I’m also completely self funded. What big things have you got in the pipeline? I’ve got loads of ideas for new flavours and I’m looking to launch a new range of smaller bars sometime this year. My packaging also recently changed so now it features artwork by local illustrators. I’ve also recently announced a collaboration with a rad coffee company, Girls Who Grind Coffee. Our resulting ‘Espresso and Peanut Butter’ bar will be out very soon. Keep an eye on my Instagram for more deets! Yuuuuum. We need this on our life! 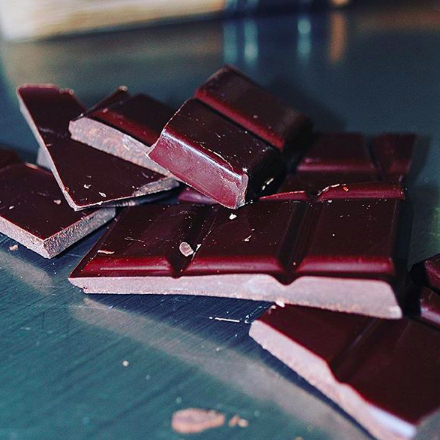 Where can we get our hands on your chocolate? You can stock up online through my website at www.heistchocolate.com. So far I’ve also managed to get stocked in about 20 different shops, stretching from Cardiff to Belgium! 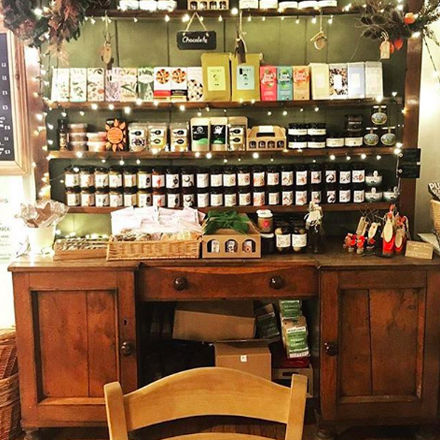 These include Queen’s Bakery in Cardigan, Pen Y Lan Pantry in Cardiff, Kitchen Garden in Powys, Blake’s Kitchen in Oxfordshire and Giddy Grocer in Bermondsey. Looking back at your journey, is there any advice you would have given yourself at the beginning? It’s a cliche but you really need to crack on and do what you want to do with your life. It’s that easy… Find what you love to do and keep working on it until you achieve what you want to achieve and don’t be afraid to inject your personality into the things you do. And finally, what is it that you love about Cardiff? It’s compact! Everything is within 20 minutes walk which means I have The Grazing Shed, The Early Bird, Brod, Dusty Knuckle, Cafe Cita, Penylan Pantry, Cocorico Patisserie on my doorstep. like food… A LOT. If you do one thing today, make sure its following Mikey’s amazing Instagram @heistchocolate. 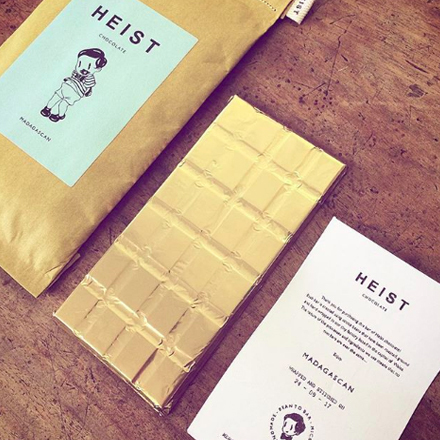 Secondly, buy Heist bars online via www.heistchocolate.com. Flavours include Rose & Cardamom White, Orange Marmalade and Into The Dark. At meanwhile Creative we take a creative approach to ‘meanwhile’ space. We can find flexible, affordable and practical workspace for your project whether this be office space, studio space or even desk space in Cardiff. We have something for everyone!